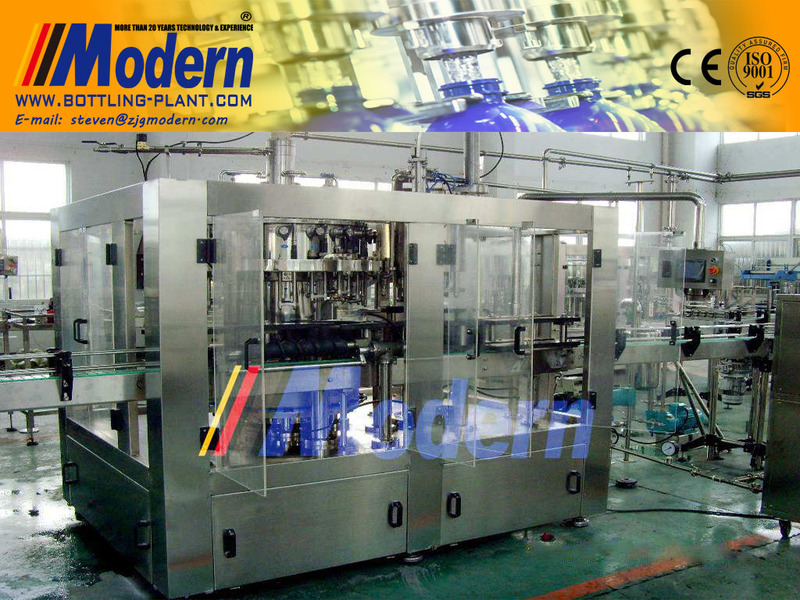 beer filling machine - Buy Product on Zhangjiagang Modern Machinery Co., Ltd. Description of the Glass Bottle Beer Filling Machine: The PXGFD series of 3in1 monobloc rinisng, vacuum filling, capping machine adopts advanced technologies of double evacuations before filling and high pressure hot water injection system after Beer filling.These technologies remarkably reduce oxygen content in bottle beer, improve taste of beer much. They have been widely used in modern glass bottle beer filling machine technology in the world. 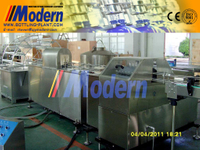 Zjgmodern provide a wide range of automatic beer filling machine. 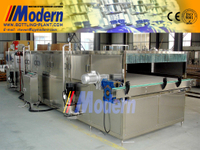 Easily find collection of efficient automatic rinser, filler & capper monoblocks. This machine is helpful for bottling a wide range of sparkling & still drink including water, wine, soft drinks & carbonated drinks. Beer Filling Machine use stainless steel where possible to lessen wear & make them simple to clean. This machine is one of the most cost effective ways of incorporating isobaric filling with a rinser & capper. The combination of high quality Glass Bottle Beer Filling Machine construction along with close consideration to the requirements of clean in place CIP ensures 3in1 monobloc beer fillers to deliver proficient reliable bottling production , constant CIP sanitisation which are all significant needs when filling beer. These highly advanced technologies amazingly reduce oxygen content in bottled beer, get better taste of beer. With appropriate change parts Beer Bottling Machine can handle exclusive glass bottle sizes and PET bottles when fixed with possible neck lift assistance. Just check out the whole list of hi-tech beer filling machines at Zhangjiagang Modern Machinery Co., Ltd!